MLO beta testing team is growing! Hi everyone! The MyLifeOrganized team is speeding up the process of Android version beta testing, so we’ve added 200+ new members to the beta team! We’ve chosen them using the application forms sent by a huge number of our users. The selection process was quite difficult and time-consuming, but we had to be sure that new beta testers are matching all our criteria. All the selected users should already get an invitation email from the MLO team. If you didn’t get an email but still feel that you have all the necessary skills to join the beta testing team, please, resend us the application form. Don’t forget to mention in the comments field that you’ve sent us the form before and would like to try one more time. 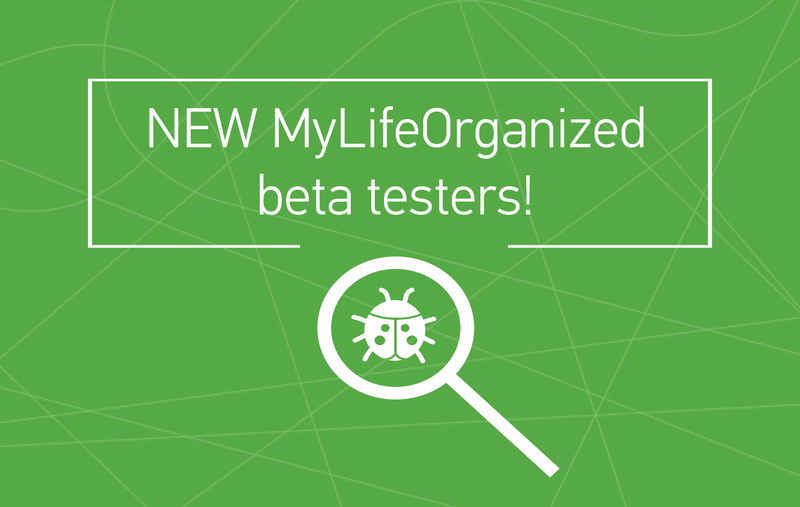 The MLO team welcomes all the new beta testers. Together we will make MyLifeOrganized the best productivity app!